HomeLove Stories About Stacie Investment Mentorship Workshop Say Hi! 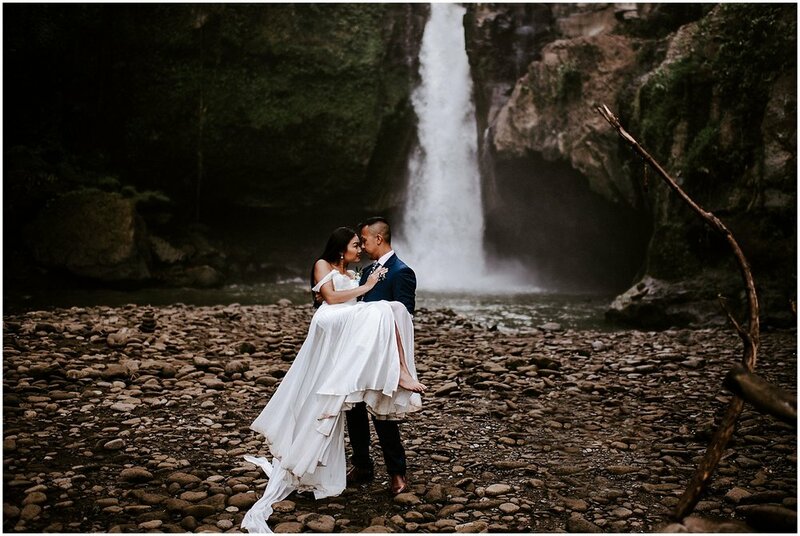 When Ron + Melisa contacted me to let me know that their Saskatchewan wedding they had booked me for was relocating to Ubud, Bali, I’m not going to lie, I had to get out the old google machine and see where the heck Bali was on a map. My google search quickly had me drooling over temples, rice fields, waterfalls and smoothie bowls. Needless to say, my excitement levels were through the roof. Early on in the wedding planning, Ron + Melisa knew they wanted to do a ‘day after’ adventure. 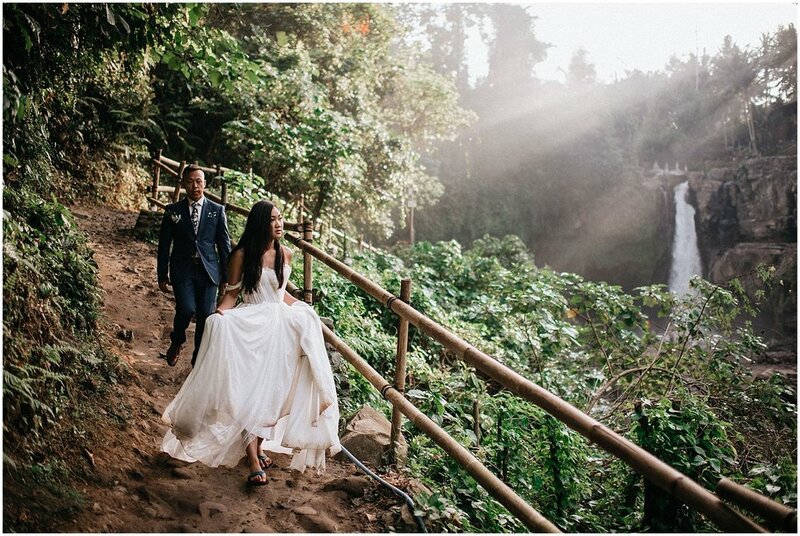 I mean when you are surrounded by the incredible beauty that Bali has to offer, an hour session on your wedding day is just not enough time to get to all of the locations we had been dreaming about. We started our adventure day first thing in the morning, climbing down 150 steps in full formal wear to the raging Tegenungan Waterfall. We had the whole place to ourselves (I guess the early bird really does get the worm). 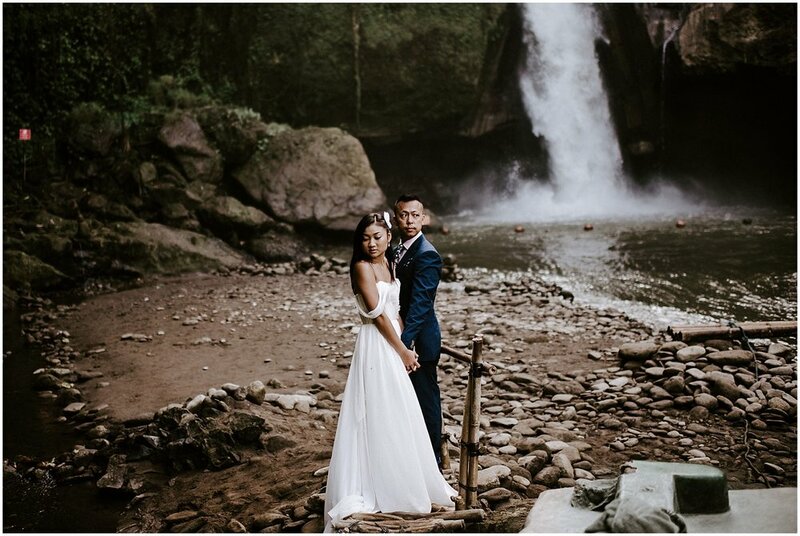 Melisa + Ron braved their way across a rickety bamboo bridge to a rock bed where they continued to dance the morning away with the fresh smell of rainforest surrounding us and the morning sun starting to peek through the valley. I really don’t think there is any better way to start a day! After barely making it back up the steps (ok, maybe that was just me..), we continued on our adventure day by heading to the Tegallalang Rice Terraces, a sight that for a few flat land Saskatchewan folks who are used to seeing wheat fields as far as the eye can see, was nothing short of magical. 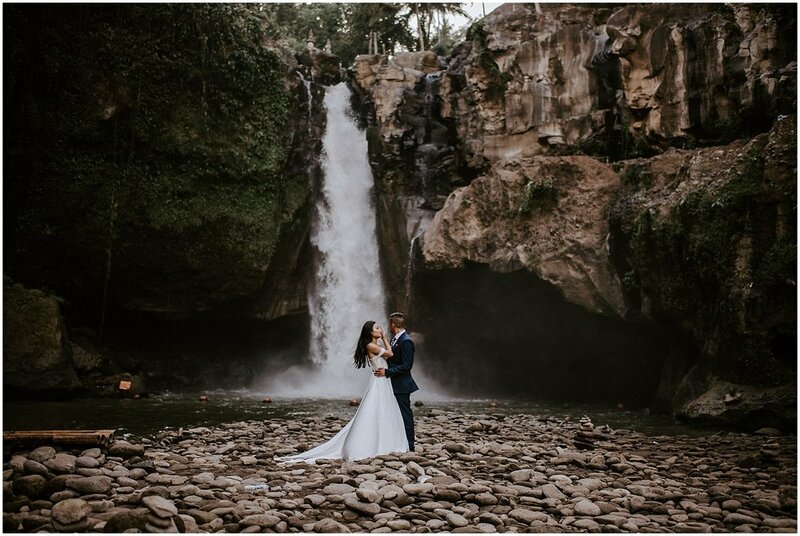 After having started this wedding adventure with Melisa + Ron not even knowing where Bali was on a map to now having it as one of my favourite places I have ever travelled to in the world is pretty amazing. I can’t thank you two rad humans enough for trusting in me to fly around the world to capture your wedding memories. I will forever be grateful for this experience.